Think wine and you don’t tend to think New Hampshire, but a growing number of tourists are discovering that our state offers a wide variety of delicious cheeses, wine and home town spirits. 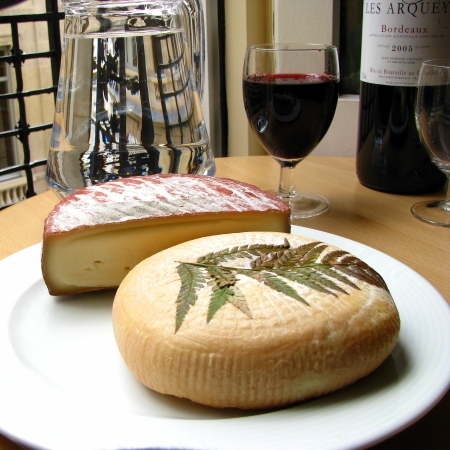 Who wouldn’t like to try a wedge of Fiddlehead Tomme goat cheese with that locally bottled Marechal Foch? Because culinary tourism is a growing aspect of what today’s traveler is looking for, the state’s Division of Travel and Tourism has teamed up with the NH Department of Agriculture to produce a Wine & Cheese brochure (also available as a download on the visitnh.gov website) to help visitors to New Hampshire discover the hidden gems- the local vineyards, creameries and farms of the state. New Hampshire’s Wine & Cheese Trails brochure highlights three different areas of the state where the local wine is outstanding and the hors d’oeuvres are suitably cheesy. A driving vacation along the romantic Wine and Cheese Trails is pleasing both to the palate but to the other senses as well. New Hampshire is the new kid on America’s winemaking block but has already won raves and awards from the industry’s most prominent wine publication, The Wine Spectator. There are now twelve commercial wineries and vineyards in the state and the industry is growing rapidly. The Wine and Cheese Trails spotlight wineries and creameries in the Seacoast Region, the Merrimack Valley and the “Apple Way” (western area of the State). Three of New Hampshire’s most distinguished vineyards and creameries along the Seacoast Trail take advantage of the coastal climate to create fruity award winning wines famed for their delicate bouquets. The Flag Hill Winery stretches over 20 acres of land on a family farm in the town of Lee. In the tasting room, guests sample fruit, red, white, dessert and port wines. In nearby South Hampton, Jewell Towne Vineyards has won more than 100 medals in international competitions for its Seyval, Maréchal Foch. The winery is open year-round and offers free tours. Zorvino Vineyards in the community of Sandown produces wines from grapes grown on the 80-acre property. The vineyard offers tours, tastings and a retail store selling wine-related items. Those in the know (or should that read nose?) bring along a selection of goat cheeses from the nearby Full Moon Farm in Rochester, to accompany the wines produced by these three Seacoast wineries. Driving the Merrimack Wine and Cheese Trail will take two or three days. It is a 210-mile voyage with stops at 3 vineyards and 4 dairies. The Apple Way Trail covers 100 miles, 3 vineyards and 2 dairies. So many things to sample and so little time — it takes about two days to give justice to the Apple Way. You can download the New Hampshire’s Wine & Cheese Trails, in a PDF format from the New Hampshire’s Division of Travel and Tourism Development’s easy-to-use web site. www.visitnh.gov or contact the tourism office toll-free at 1-800-386-3664 for a copy of the brochure.